The Screen International-backed conference reveals the chasm between producers and private financiers in Spain. Spanish producers branded banks “clueless” about the world of cinema, while financiers hit back at producers calling them “too demanding” at the Spanish Film Institute (ICAA) and Audiovisual SGR Film Finance Conference in Madrid. 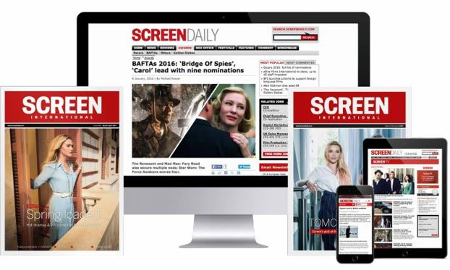 The conference, which is supported by Screen International, intended to help to improve relations between producers and private financiers at a time when public subsidies, TV investment and ancillary market revenues are drying up. Interestingly, it was a fellow producer (but also keen financier) Stephen Margolis of UK-based Future Films who retorted that “it is not a producer’s right to expect the banks to just give them money because they need it”. The Spanish banks themselves were conspicuous by their absence with only one woman, hidden at the back raising her hand when guests were asked if there were any bankers in attendance. Meanwhile, running a rule over proceedings and trying to maintain a sense of calm were the lawyers who came out in force to discuss the technicalities of bank loans and other sources of private finance. David Quli of London-based firm Wiggin suggested that producers and financiers should share the burden of investment more equally. With this proposed model, producers would be incentivised to make bigger and better films that take more money at the box office, and financiers get greater rewards for their input in films and would re-invest money in projects in the future. There was also a strong call for more Spanish co-productions. At present, more than 300 films are made in Spain every year and around 80% are solely Spanish productions and a large number fail to make an impact at the box office. Recent international co-productions such as Cell 211, The Secret In Their Eyes, Planet 51 and Agora have managed to bridge the gap, doing well in Spain and selling well abroad. The conference ended on a reasonably optimistic note with sales agents arguing that pre-sales are back on the rise, albeit slowly. Spain’s film institute, the ICAA, and government backed film finance facilitators, Audiovisual SGR, are co-organising a finance conference to take place in Madrid on July 1 looking at how producers can access private funding for their film projects.